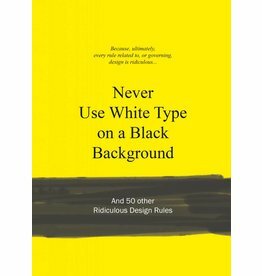 Anneloes van Gaalen never stops researching ridiculous rules in creative sectors and we are thankful for that, because it produces more of these wonderful and bestselling Ridiculous Design Rules books, which make perfect gifts for creative people and those who love creative work. 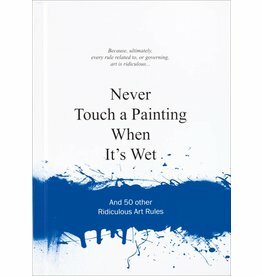 Five books have been published and reprinted (!) 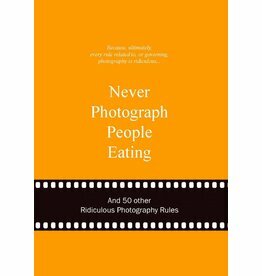 so far, and we are now pleased to announce the next new title: Ridiculous Film Rules. 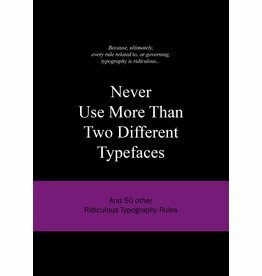 In this series, ‘ridiculous’ is a relative term, because what is nonsense for one can be an important guideline for another. In these pleasing and educational books, it is not about laying down the law. 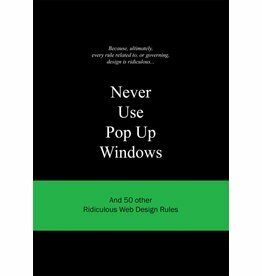 For each of the 51 rules covered in each book, Van Gaalen refers to quotes by famous fellow creators, who either think there is something to the rule or have made a personal variation on it. Whether you agree with them or not, the Ridiculous Design books sharpen your own thoughts about the rules and the assumed truths within the creative disciplines. 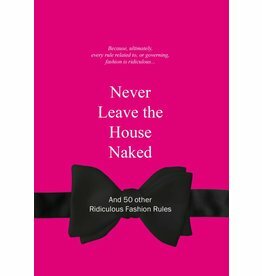 Each rule is convincingly illustrated, with the illustrations either confirming or disproving the rule in question.